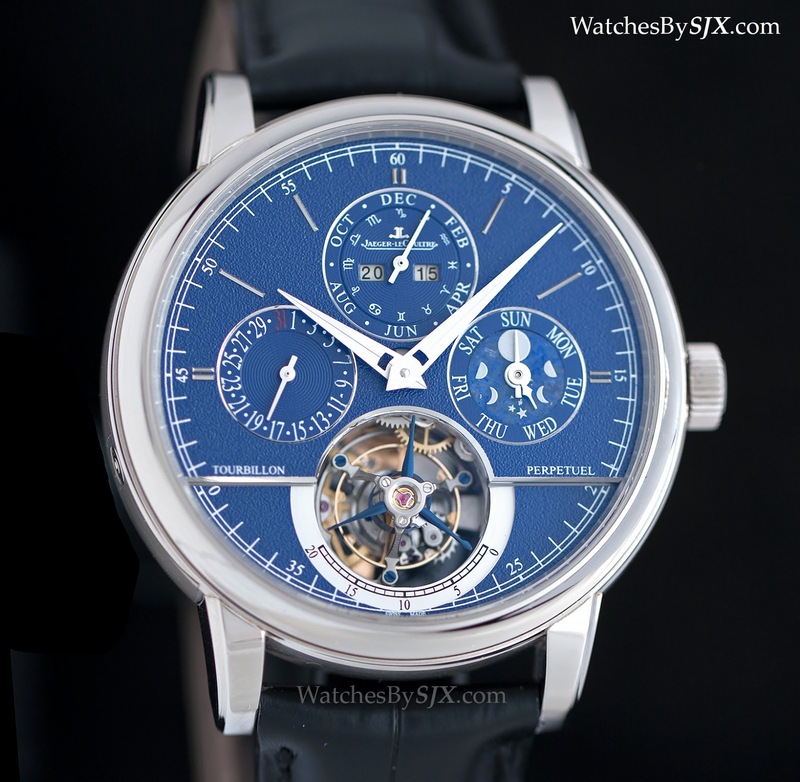 A bit of everything, well made and developed in-house, sums up Jaeger-LeCoultre’s SIHH 2015 offerings nicely. The manufacture covered all the bases, at all price segments, for both genders. 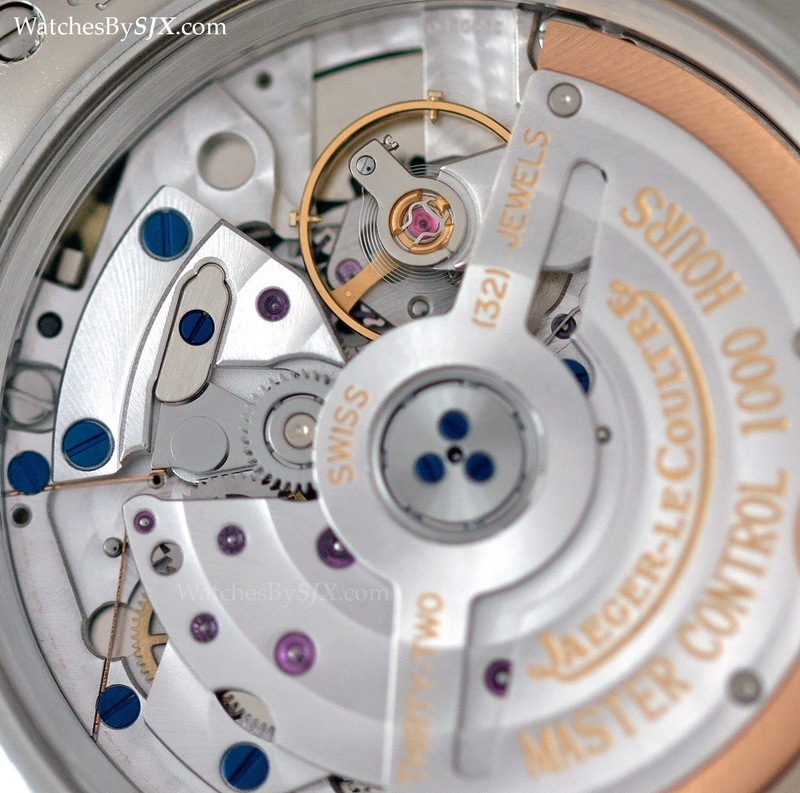 Jaeger-LeCoultre has the capacity, unique amongst watchmakers, to create well constructed and finished timepieces of great variety and numbers. 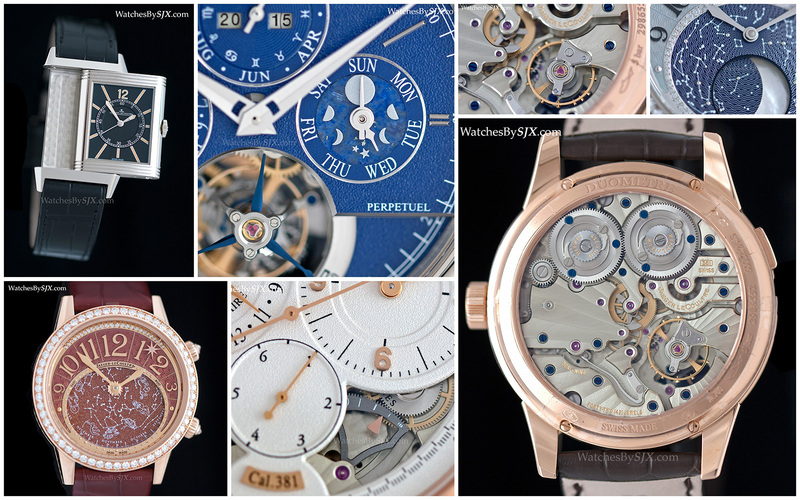 Its offerings each year demonstrate that, and the SIHH 2015 line-up is no different. The 2015 collection has a bit of everything, ranging from the vintage inspired Grande Reverso 1931 Seconde Centrale to the Duomètre Sphérotourbillon Moon. 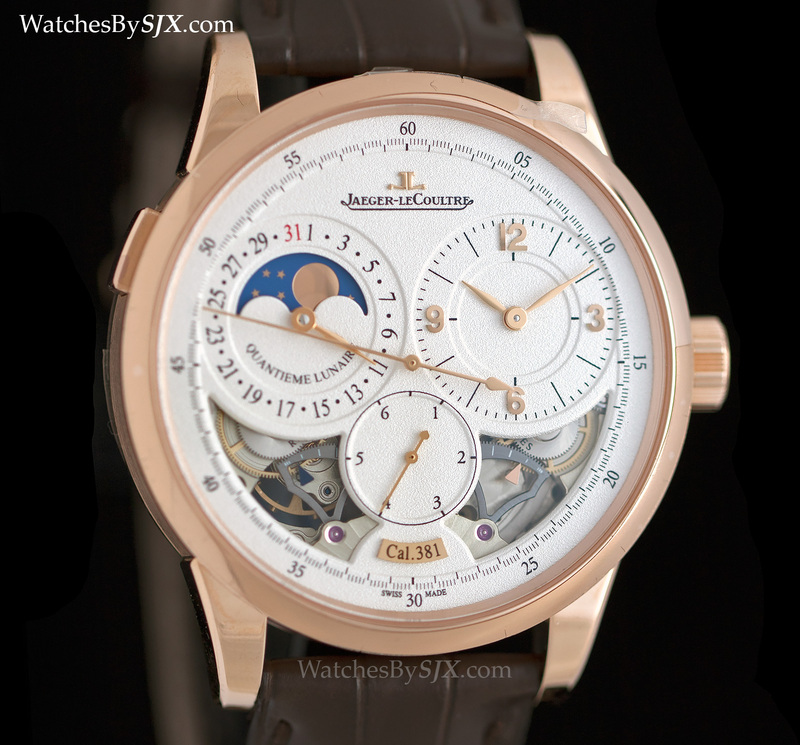 But Jaeger-LeCoultre did not reveal a major new complicated movement, maybe it has something up its sleeve for later in the year? [NB: All prices are in Singapore dollars (S$) and include 7% tax. 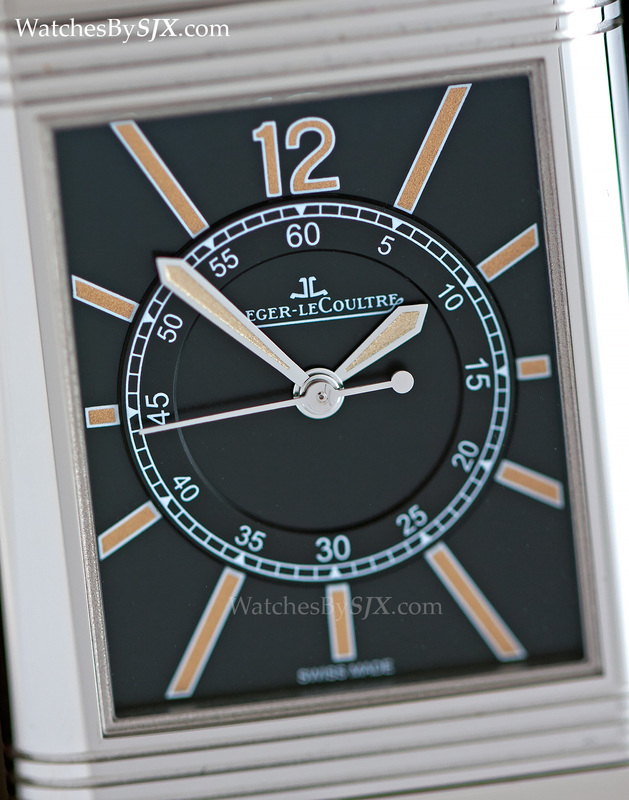 US$1=S$1.35] Jaeger-LeCoultre’s wristwatches can always be split in two categories: round and Reverso. Let’s start with the latter, the brand’s signature watch case. 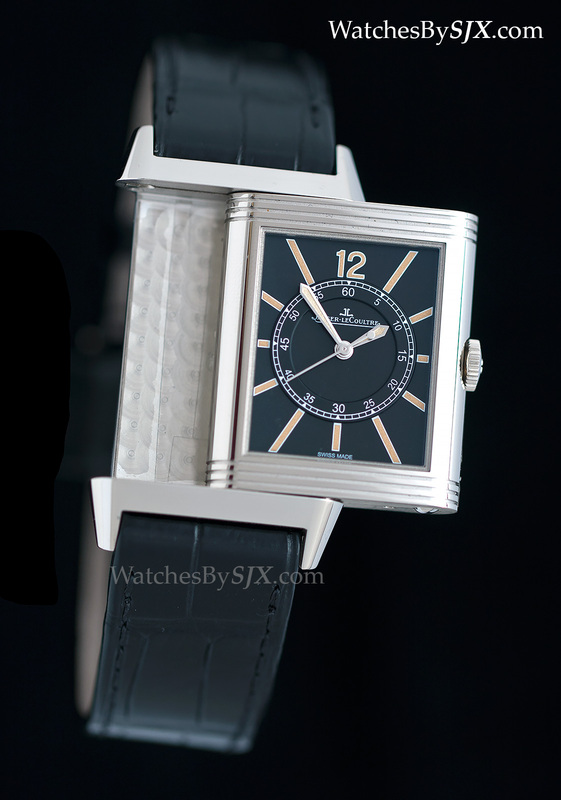 There are surprisingly few new Reverso timepieces launched this year, majority were variations of existing ladies models. 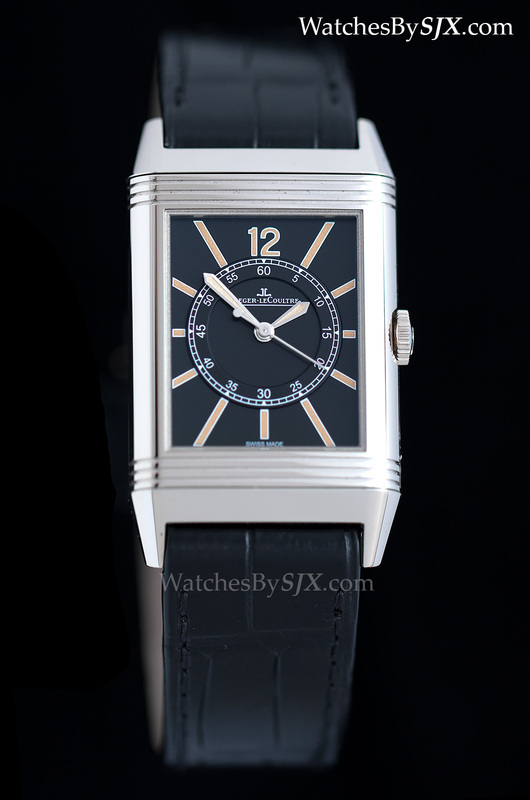 The key new Reverso was the Reverso 1931 Seconde Centrale, the first Reverso 1931 with a central seconds. Despite the name this is based on a Reverso from 1935, and it has the faux vintage dial markings de rigeur for such vintage-inspired watches. This has dimensions very similar to the manual-wind 1931, measuring exactly the same at 46.8 mm by 27.4 mm, but thicker at 9.2 mm high to accommodate the self-winding movement. The 1931 Seconde Centrale has a solid case back suitable for personalisation (here’s a first hand experience with hand-engraving). It’s available only in white gold, and only at Jaeger-LeCoultre boutiques, the Reverso 1931 Seconde Centrale will cost S$28,600. And now on to the round watches. The men’s timepieces were mostly conservatively styled wristwatches with small complications, something Jaeger-LeCoultre excels at. 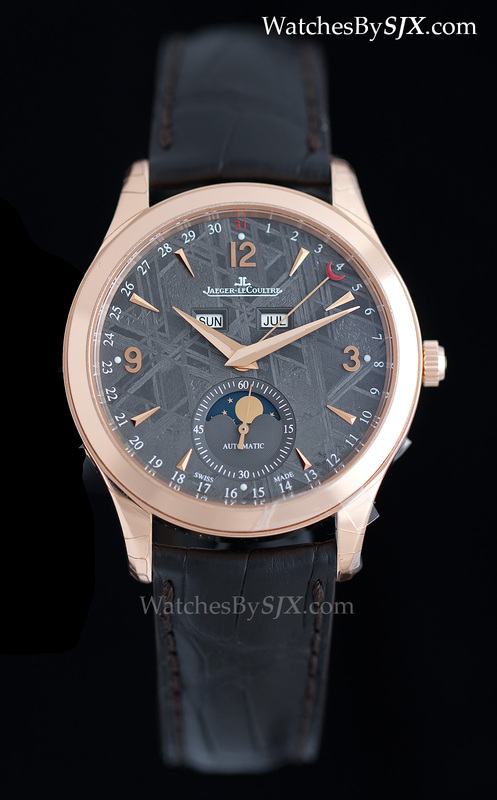 Previewed before SIHH was the Master Calendar Meteorite. 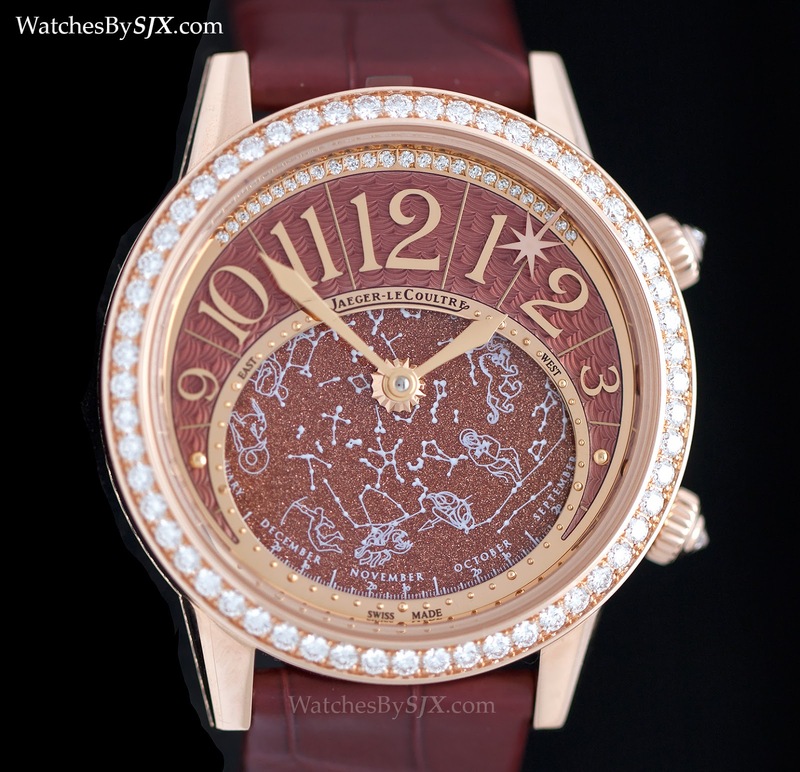 It’s essentially the same watch as the 39 mm Master Calendar, except with a meteorite dial. 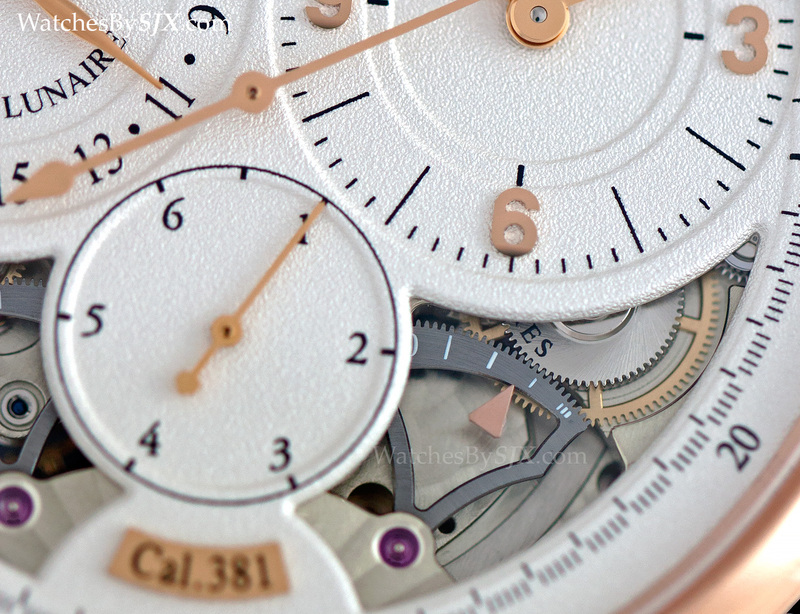 The dial is made from a thin slice of meteorite discovered in Sweden, with a darker shade for the rose gold model and a pale grey on the steel. 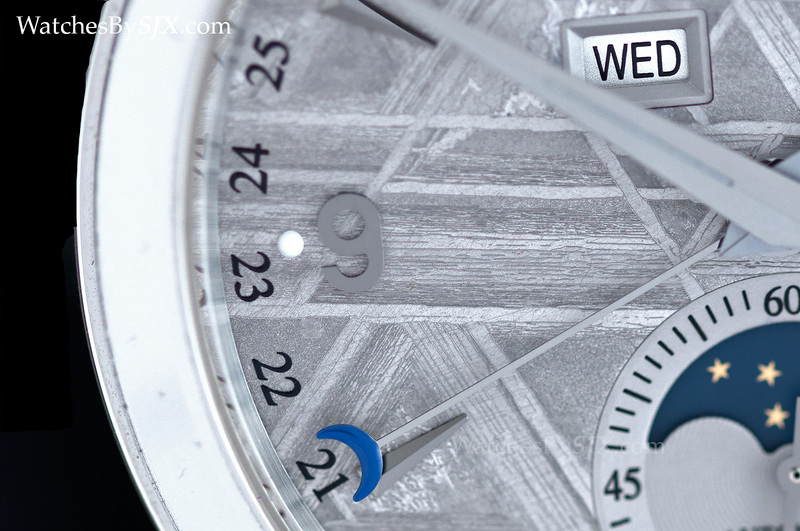 Highlighted by etching the material in acid, the Widmanstätten pattern of the material is formed by the nickel-iron crystals inside, making each dial unique. 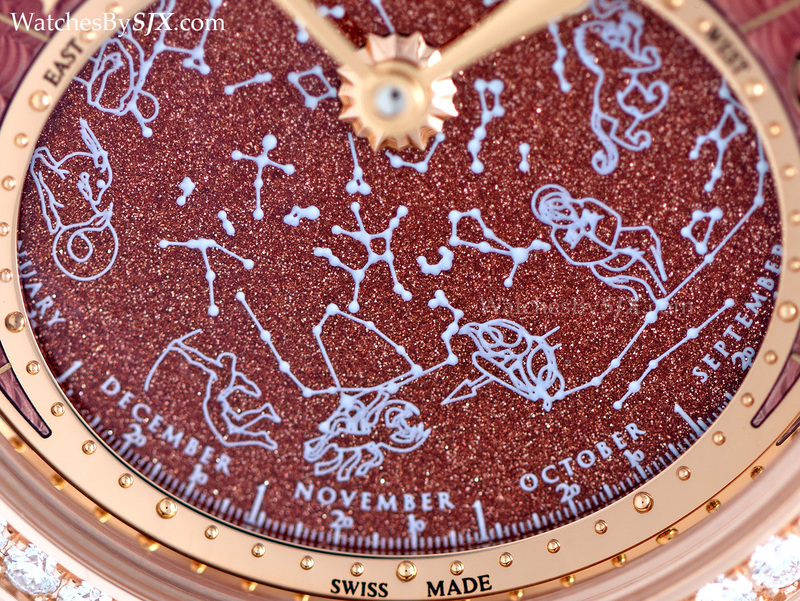 The meteorite dial Master Calendar costs about 20% more than its brass dial counterpart, retailing at S$18,190 in steel and S$38,100 in rose gold. Equipped with nearly the same movement is the Master Ultra Thin Moon 39, available with a black dial for the first time. This is 39 mm in diameter and just 4.9 mm high. The Master Ultra Thin Moon is priced at S$13,500. 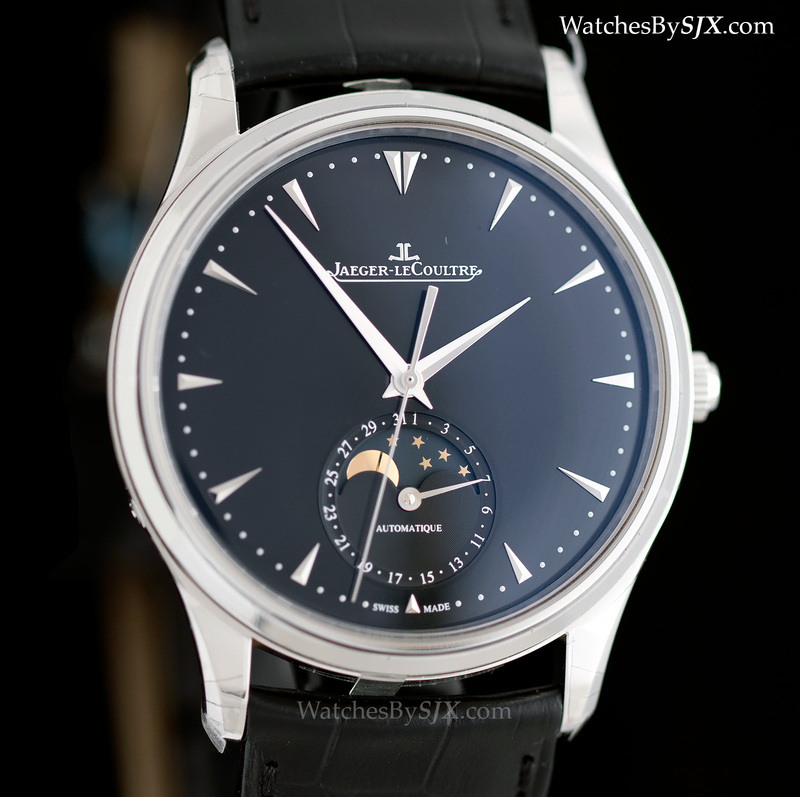 Also available in black for the first time is the Master Control Date, probably Jaeger-LeCoultre’s most affordable watch. 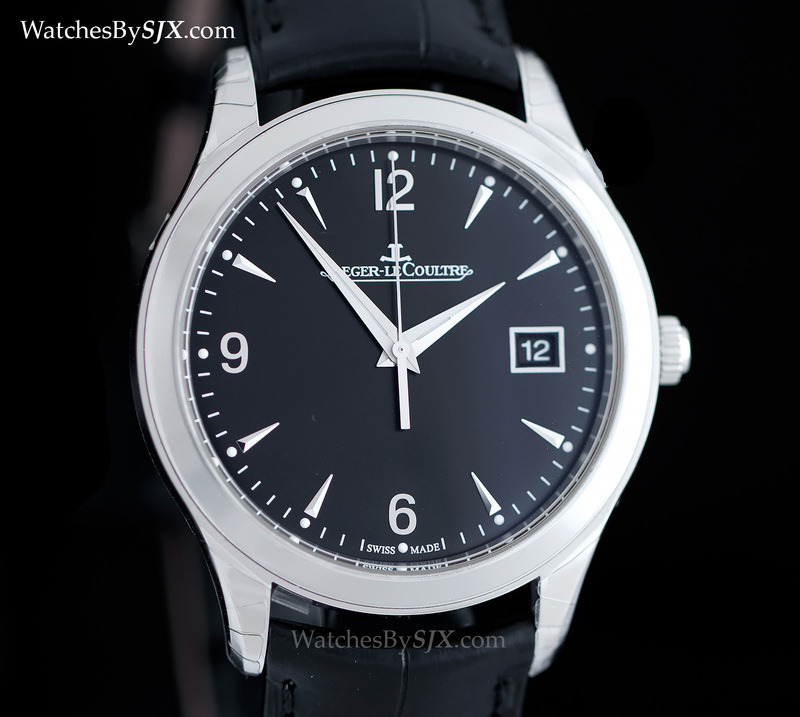 Priced at S$9850, this is a basic, fuss-free watch with a 39 mm case and an automatic movement. 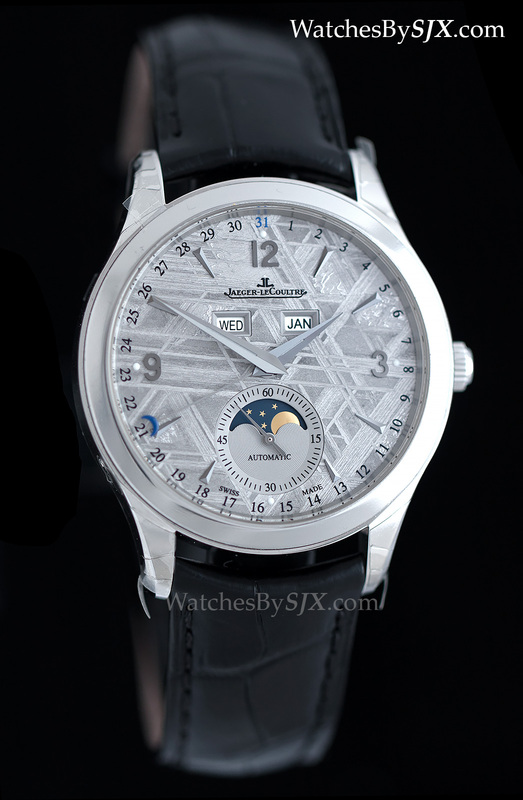 For those with a bit more money to spend, Jaeger-LeCoultre presented new variant of several Duomètre models, watches with movements equipped with twin barrels and gear trains (hence the name). The Duomètre à Quantième Lunaire is now available with cut-outs on the dial that reveal the mechanics behind the twin power reserve indicators. 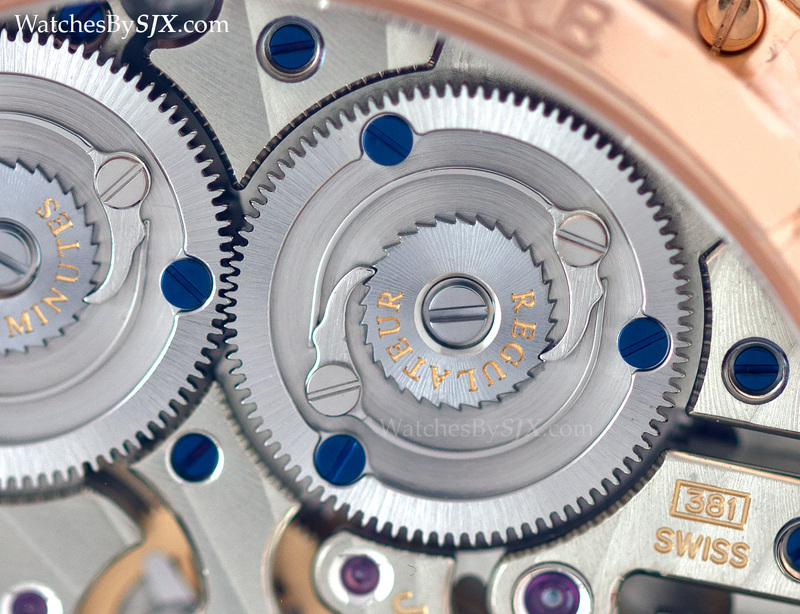 One gear train is devoted to the time, while the other powers the 1/6 of a second counter, moon phase and date. 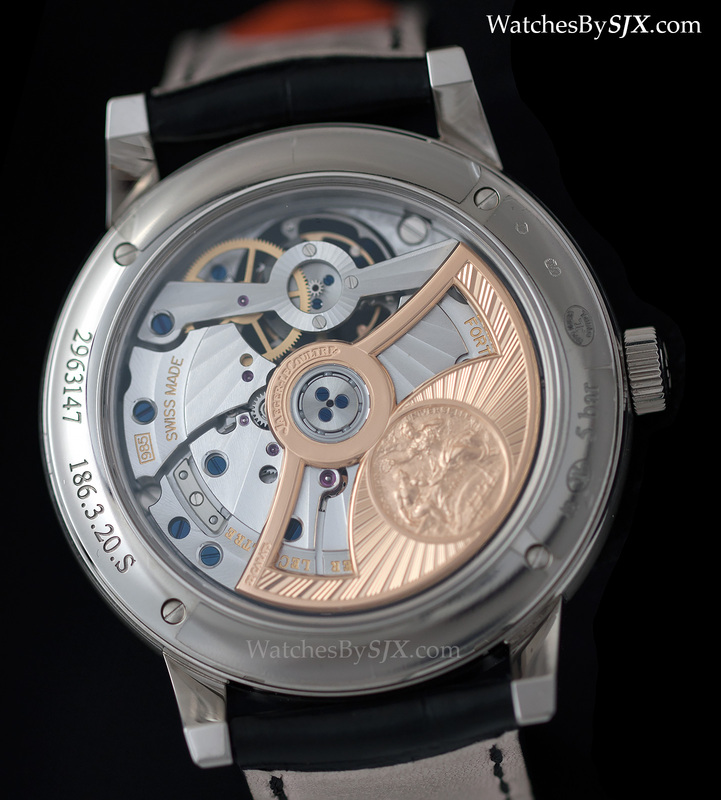 The movement is a visual treat, with an architecture common to all Duometre watches like the Spherotourbillon, like the grand sonnerie style winding clicks for both barrels. 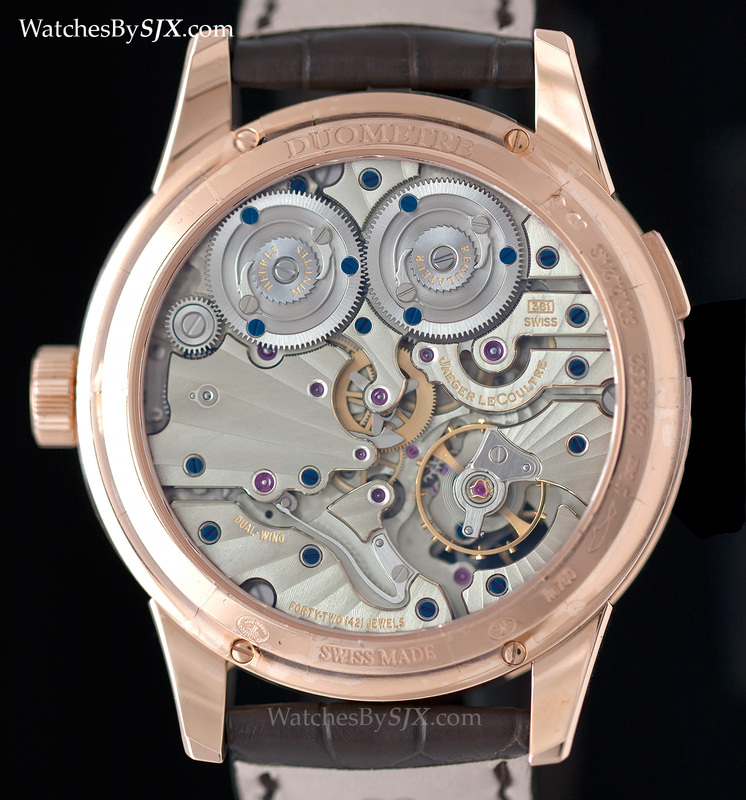 The Duomètre à Quantième Lunaire has a 42 mm rose gold case, with a price of S$55,500. Also getting a new dial treatment is the Master Grande Tradition Tourbillon Cylindrique à Quantième Perpétuel, a model first introduced three years ago. The model name says it all, this is a perpetual calendar with tourbillon equipped with a cylindrical hairspring (which provides more concentric breathing). 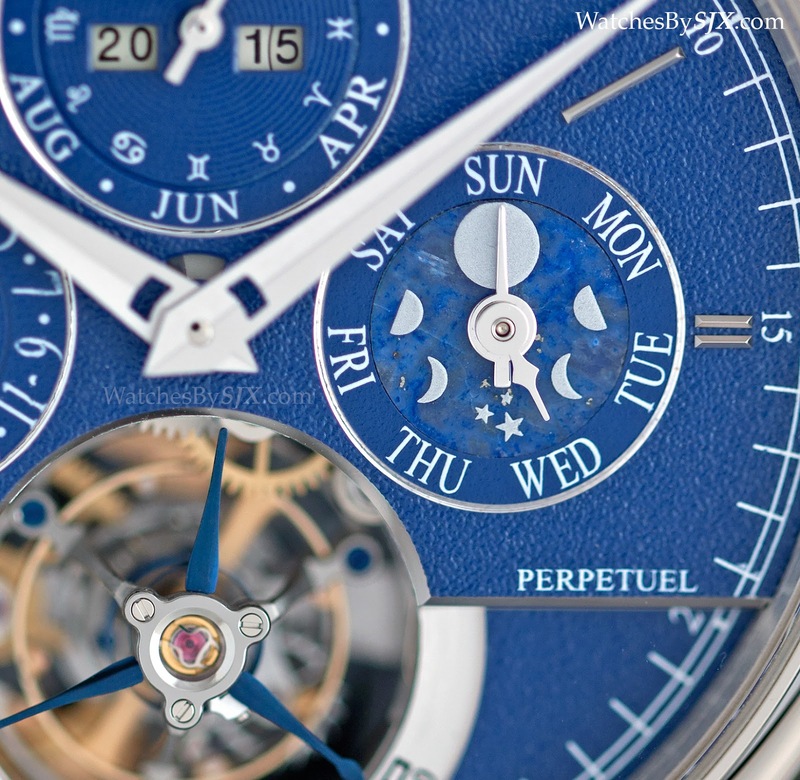 The blue dial has a grained texture with a subtle extravagance: the sub-dial for the moon phase is a tiny disc of lapis lazuli. 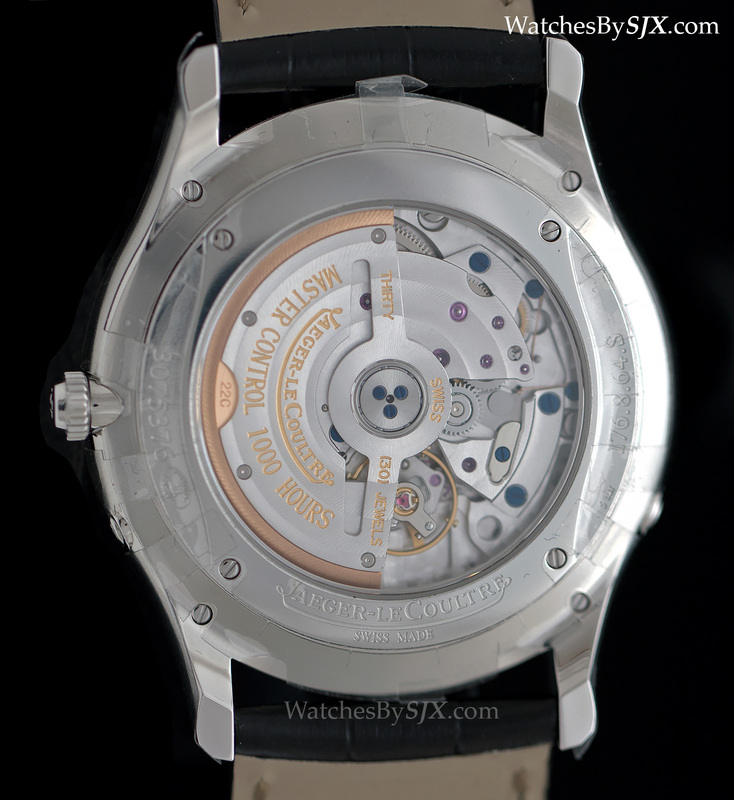 Case diameter is 42 mm and material is white gold. S$190,000 is the price of the privilege of owning the Master Grande Tradition Tourbillon Cylindrique à Quantième Perpétuel, unusual amongst high-end watches because there are more words in the name than digits in the price. 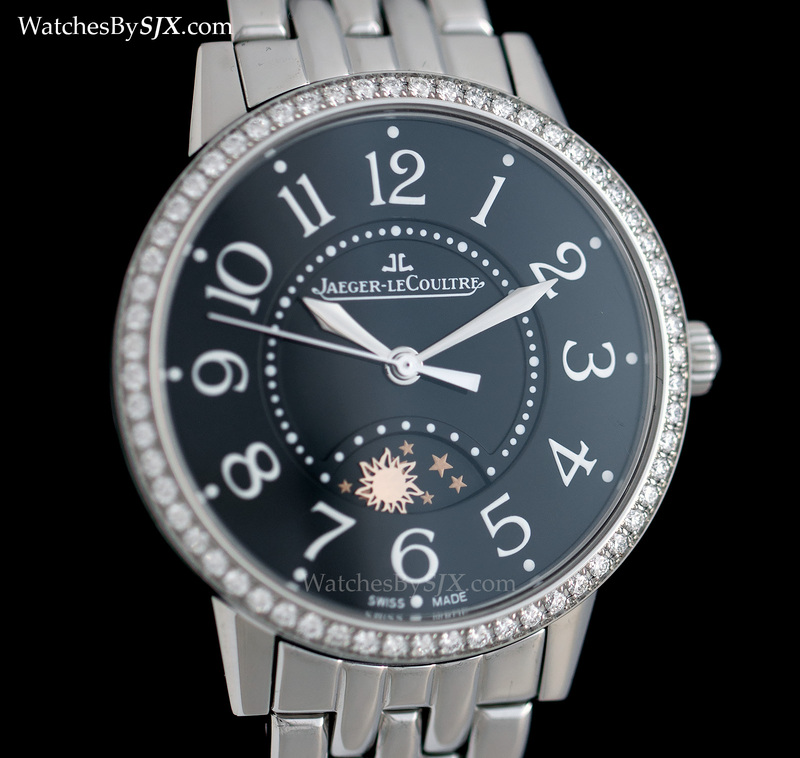 For several years now Jaeger-LeCoultre has been assiduously cultivating its female clientele and it continues in 2015. Several new Rendez-Vous models were launched, including new variants of the Night & Day, including this one with a black dial. 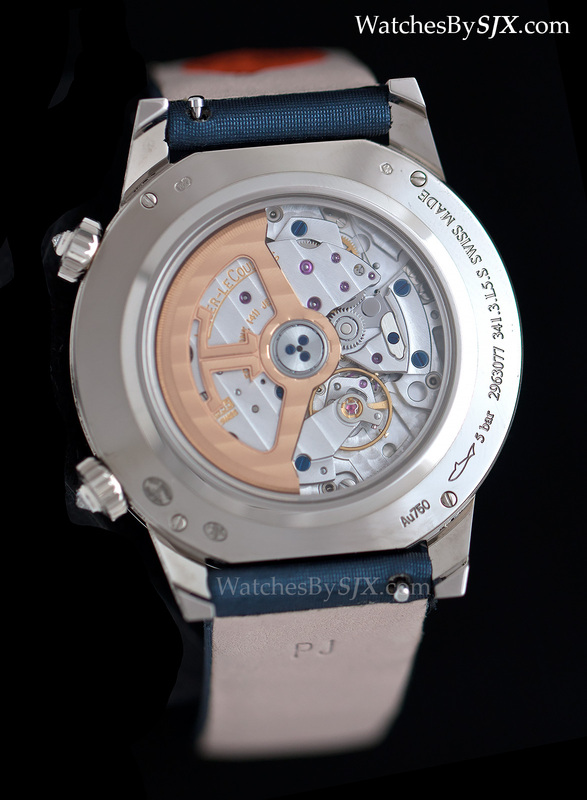 Available only in boutiques and priced at S$22,100, this has a 34 mm case and a steel bracelet. 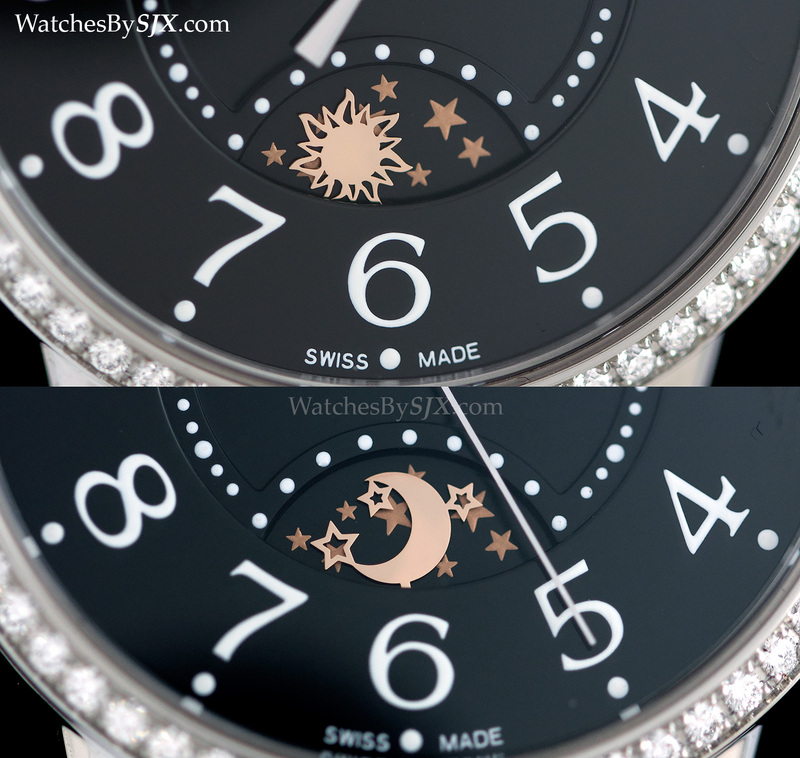 What makes the Rendez-Vous Night and Day unusual is the day and night display. 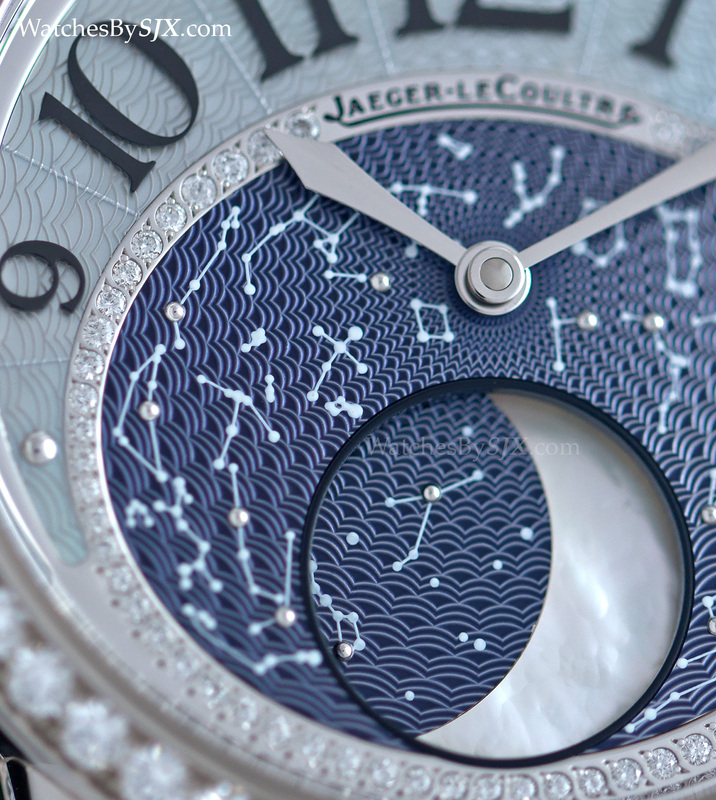 Instead of the typical disc, it has gilded sun and moon cut-outs rotating against a starry backdrop. 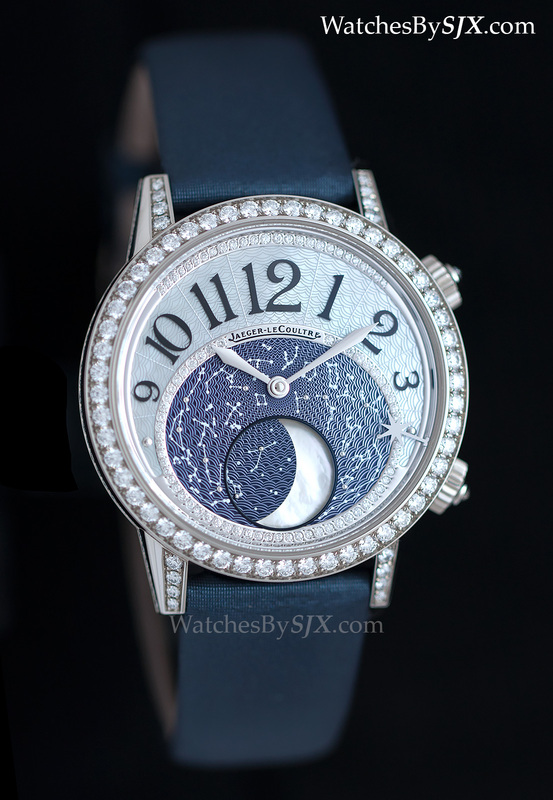 The Rendez-Vous Moon is an elaborately executed moon phase wristwatch, with a mother of pearl moon phase and dial, along with diamonds on the case. 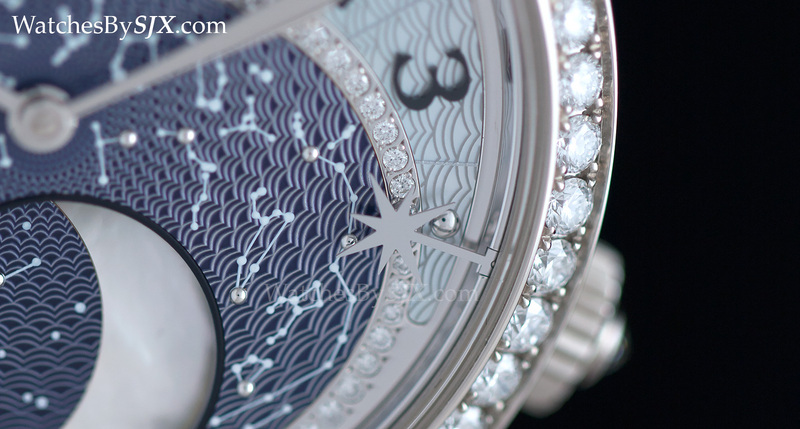 A tiny star-shaped indicator on the perimeter of the dial is an appointment marker, set by the second crown. This costs S$63,000. 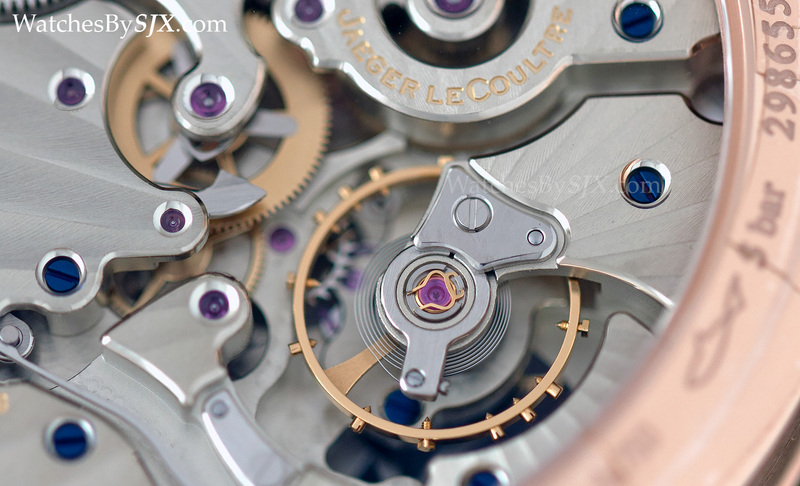 This has an automatic movement, the same workhorse base calibre that powers many of Jaeger-LeCoultre’s watches, including the men’s calendar watches above. Mechanically similar is the Rendez-Vous Celestial. 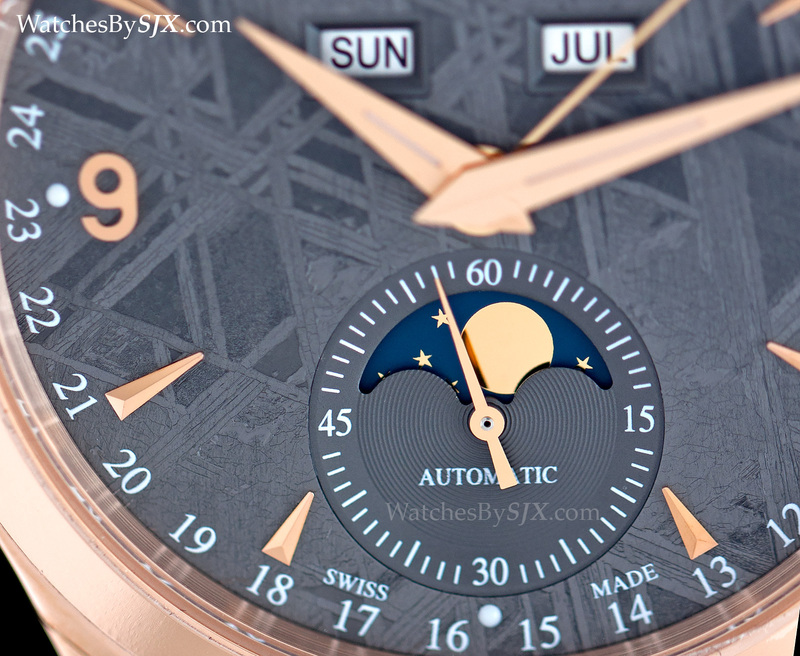 Instead of a moon phase, this has a celestial disc that makes on revolution every 23 hours, 56 minutes and four seconds, displaying the constellations as they appear from the Northern Hemisphere. 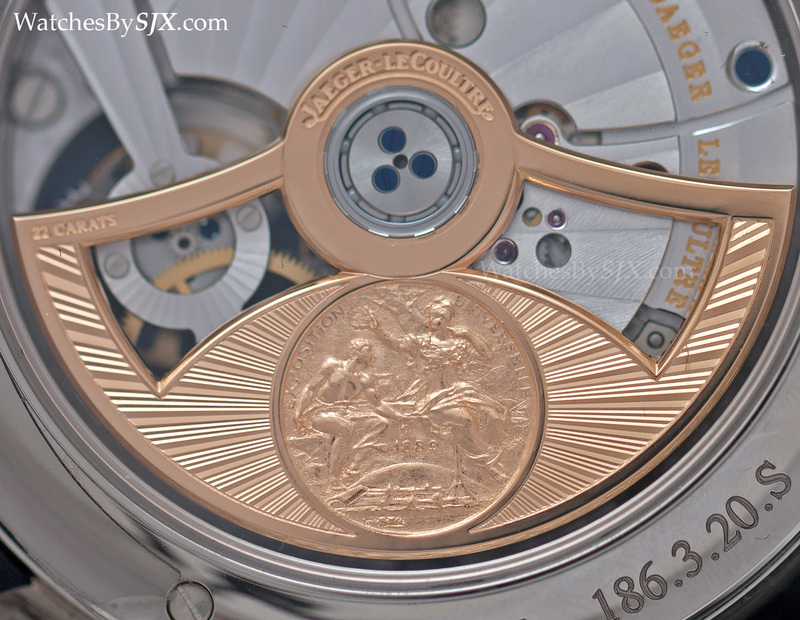 And this also has a rendezvous indicator on the dial in the form of a star, controlled by the second crown. This retails for S$75,500. Introduced at SIHH 2015, the white gold Grande Reverso 1931 Seconde Centrale is the first vintage-style Reverso 1931 with a self-winding movement, the calibre 966A.